Hover: Use code 'HALFFIVE' for 10% off your first purchase. Tim on Twitter: "@imyke half five means “half to five” in Denmark. @caseyliss 5:30 made me facepalm :)"
Ben McCarthy on Twitter: "@imyke @caseyliss Unfortunately in German when you say half five (halb fünf) you actually mean 4:30… Sorry." Arne Ruddat on Twitter: "@caseyliss @imyke we Germans usually say “halb fünf” which literally translates to “half five”, but means half past four (4:30). 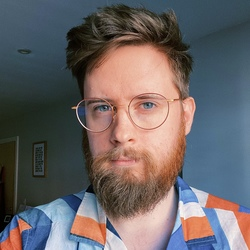 #analogue7"
Jake Kitchener on Twitter: "@imyke give @CARROT_app a shot for 10 minutes a day. Not sure how effective it is yet. I do feel less guilty for doing almost nothing." Myke celebrates Casey getting to 10,000 followers on Twitter. "Who the Hell is Casey?" A song by Casey's good friend Larry King about the three hosts of ATP.